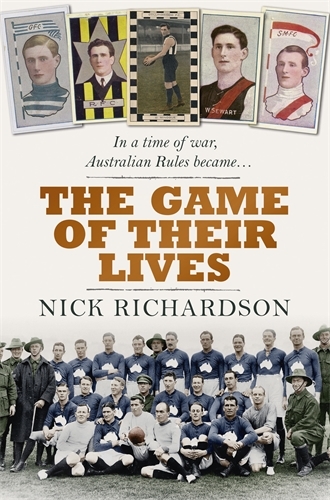 As the Great War raged in 1916, two teams of Australian soldiers played an Australian Rules football match in London. It was the first time the world had seen our national game. But this was more than an exhibition match. It symbolised sport’s role in driving young athletes to enlist and fight. The players came from every corner of the country – some of them stars in the VFL or champions in their city or state leagues. For all of them it was a chance to forget blood and battle and simply play, a final kick of the footy before the Western Front, from where some would never return. Now, 100 years on, Nick Richardson rekindles an incredible moment in our history and pays tribute to the men who played The Game of Their Lives.